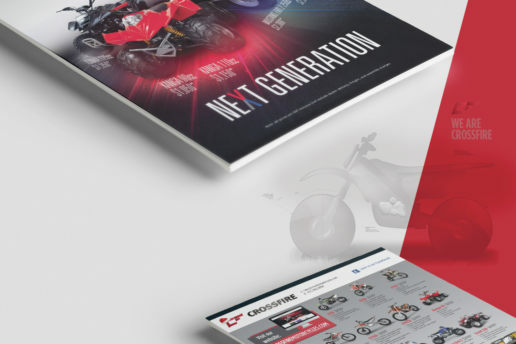 Logo, print and web design for Australian motorcycle and ATV brand. 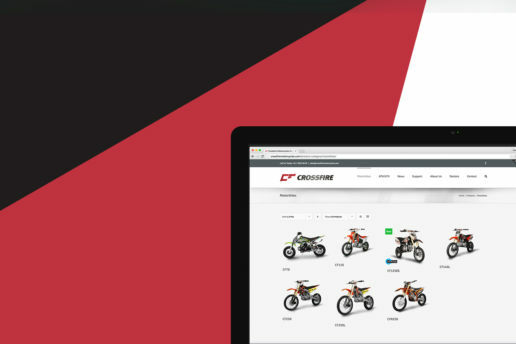 Crossfire Motorcycles are an Australian company based in New South Wales specialising in selling Motorcycles and ATVs. 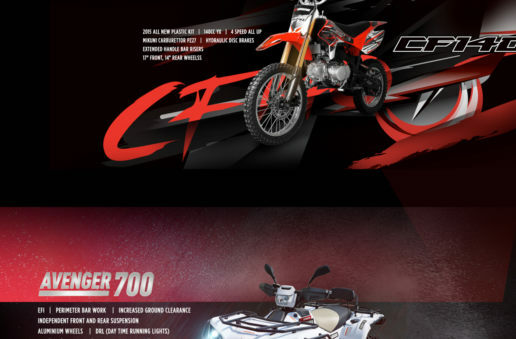 Since I began working with them, we have continued to build their brand, making tweaks and changes along the way. 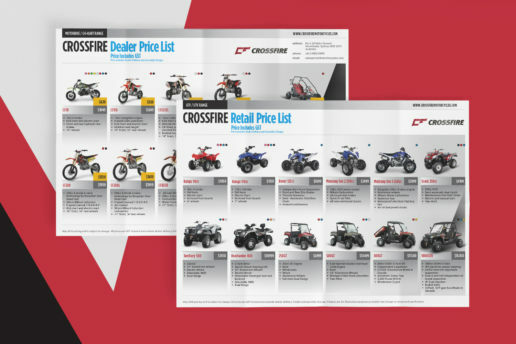 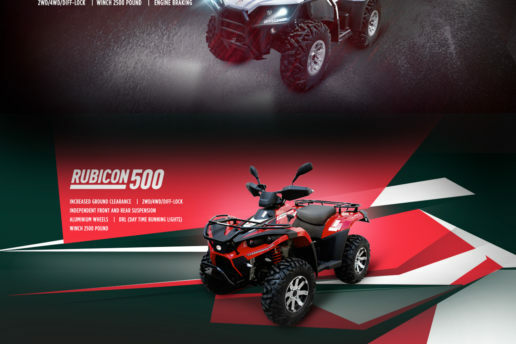 They sell ATVs, UTVs and Dirt Motorbikes to dealers all over Australia, so not only are they dealing with the public, they’re also dealing with stores alike. 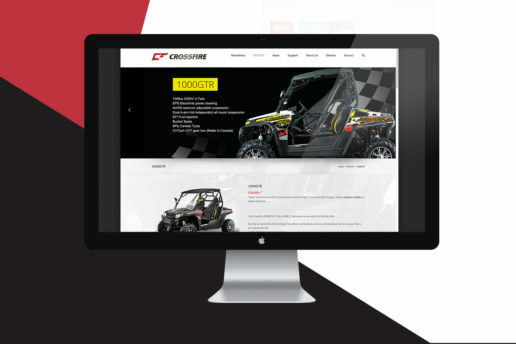 From their company logo to their website, I have designed plenty of different material for Crossfire. 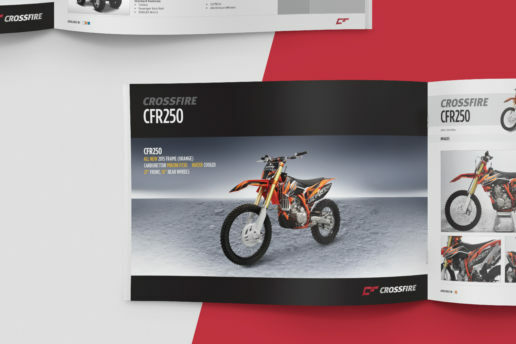 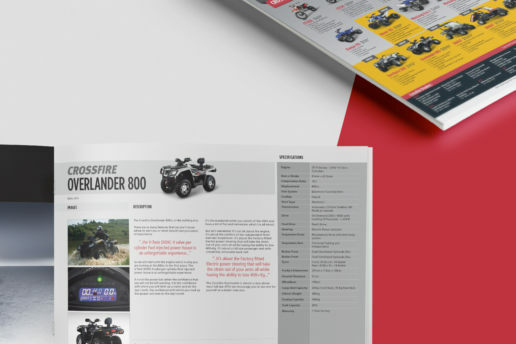 The majority of the focus is with print work, so items such as outdoor signage, flyers, brochures, manuals, advertising, Motorbike / ATV decals and logos takes the main focus. 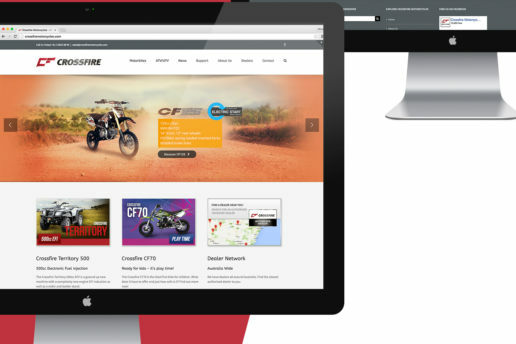 I have also created their website, like I mentioned, and eBay templates when required. 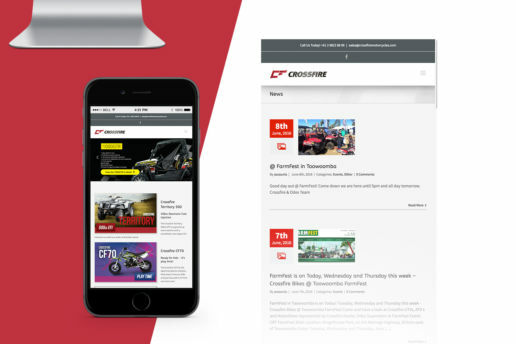 They’ve really transformed their company’s look and feel from when I first got in contact with them, until now. 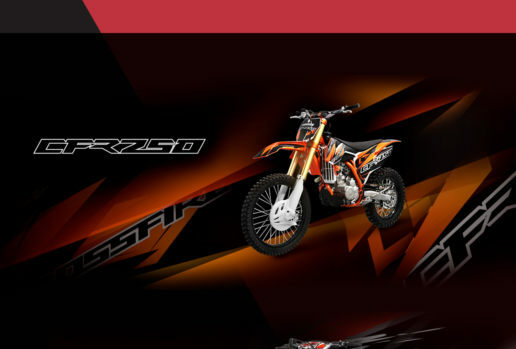 Their professional design look, with a consistent brand sets them up to compete with big motorbike companies such as Honda, Yamaha, KTM and so on. 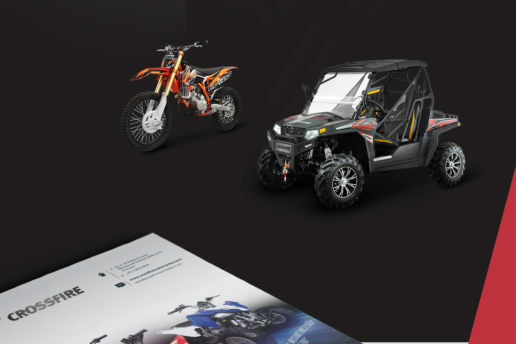 With my design style complimentary of what they believe and how they want to market their product, we make a very good team.